Myriam has a passion for helping others that is immediately recognized and greatly appreciated. She feels that in any type of business dealing, it is important to be straightforward, professional, personable, but most importantly, to be yourself. "Being genuine is an asset. I have a sincere interest in being of service to my clients, and believe that if you really care, people are bound to notice." Her careers in the legal and real estate fields have embodied this philosophy. Myriam began her professional career in New York City as a corporate transactional attorney and switched to real estate law when she moved to Chicago. Highly thorough, dedicated and organized, she has represented individual and corporate clients in connection with their commercial and residential needs for more than thirty years. Myriam has extensive experience in drafting, negotiating and closing purchase and sale agreements as well as leases. Her savvy negotiation style is to be polite, knowledgeable and prepared, but firm where appropriate. Complementing her valuable legal experience is an international background that affords Myriam insight into the needs of a diverse clientele. Born and raised in Marrakesh, Morocco, she is a U.S. and French citizen who speaks both languages fluently, plus has a working knowledge of Spanish. Myriam went to French elementary and secondary schools in Morocco and then moved to Paris, France to study law. 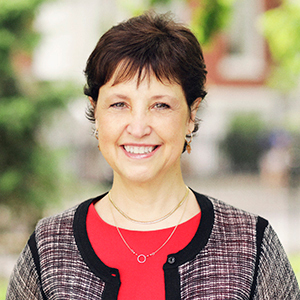 After completing her French legal studies, she attended law school at the University of Pennsylvania, and began practicing law in New York in 1984. She is a real estate attorney licensed in Illinois and New York, and a Licensed Real Estate Associate Broker with Compass who looks forward to fulfilling your housing needs and protecting your best interest. Myriam lives on the Lower East Side of Manhattan and is a former resident of the Upper East Side. Her neighborhood expertise is expansive. She loves biking around town in her free time, as it's a great way to appreciate the city. Myriam also loves to cook, read and watch foreign movies. Her caring heart is further evidenced in her role as Founder of A Word of Difference, a non-for-profit organization whose primary mission is to give a voice to underprivileged, exploited and underrepresented children throughout the U.S. and the world, with the aim to empower them to become strong, confident and compassionate adults.